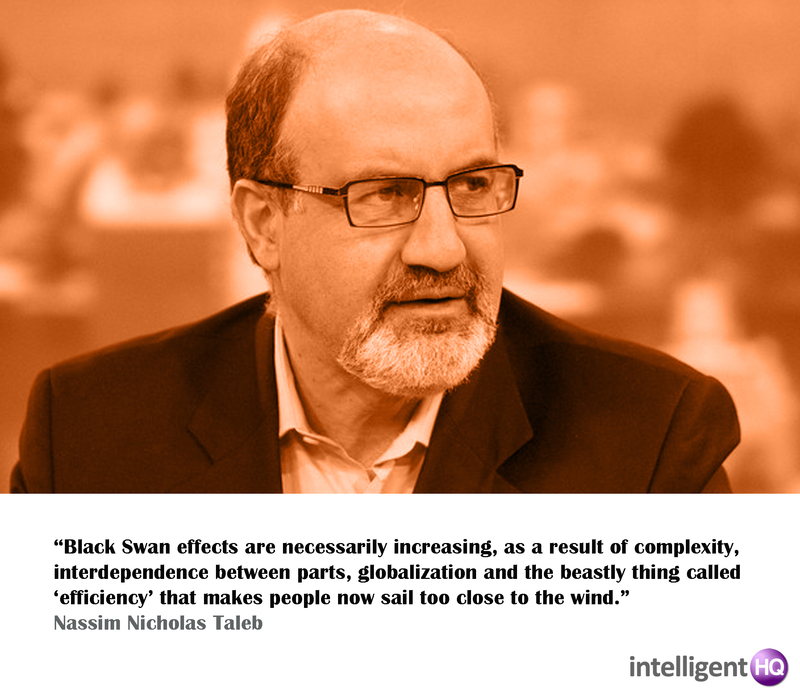 Nassim Nicholas Taleb: How to Thrive in a Randomness, Black Swans, Antifragile Big Data world? “The devil is in the nuances” synthesizes the strength and complexity of Nissam Taleb way of thinking. Taleb’s book “Antifragile: Things That Gain From Disorder” (2012) goes in this obsession about nuances. His new opus is bold, prophetic, erudite, provocative, pompous, penetrating, perspicacious and disruptive. In common usage, “chaos” means “a state of disorder” which is tendentially fragile. But is it fragile, as well robust, durable? What is exactly the opposite of fragile? Is fragile really not robust, durable? The concept of fragility is very familiar to us. It applies to things that break when you strike or stretch them with a relatively small amount of force. Porcelain cups and pieces of thread are fragile. Things that do not break so easily when you apply force or stress to them we call strong or resilient, even robust. A cast-iron pan, for instance. However, there is a third category here that is often overlooked. It includes those things that actually get stronger or improve when they are met with a stressor (up to a point). Take weight-lifting. If you try to lift something too heavy, you’ll tear a muscle; but lifting more appropriate weights will strengthen your muscles over time. This property can be said to apply to living things generally, as in the famous aphorism ‘what doesn’t kill you makes you stronger’. Strangely, we don’t really have a word for this property this opposite of fragility. Maybe ‘resilience’ could be an alternative. For author Nassim Nicholas Taleb, this is a major oversight, for when we look closely, it turns out that a lot of things (indeed the most important things) have, or are subject to this property. Indeed, for Taleb all that is alive and all the complex things that these living things create (like societies, economic systems, businesses etc.) have, or must confront this property in some way. This is important to know, because understanding this can help us understand how to design and approach these things (and profit from them), whereas failing to understand it can cause us to unwittingly harm or even destroy them (and be harmed by them). Antifragile and the abundance of data, Big Data! Taleb in his new book goes through the abundance of data, big data, to demonstrate how such an overwhelming quantity of data means more information, and “the rise of noise”. The financial system is dependent on five large banks that are too-big-to-fail, no matter how big their mistakes. Our central bankers juice the economy for short-term gain without knowing how they’re affecting the next decade. By avoiding shocks to our banks and economy – AKA the natural business cycle – we actually harm both. “Avoiding small mistakes makes the big ones more severe” Taleb writes. Anti-fragility makes us question if disorder makes us stronger. Presently we live an historical time that is producing an economic revolution that is quietly turning millions of people into part-time entrepreneurs, and disrupting old notions about consumption and ownership. This revolution results from the latest financial disruptions. What is your view about the world? What makes things go on and on? Why after 150 million years the dinosaurs disappeared and we are here? Someone used to say that the only certainty is the rationality of the irrationality of the maths of life. Life plus life terminates in the uncertainty of death! But the fragility of humans has led humans to design dreams and go forth in the direction of changing radically systems and test, experiment, mutate everything around them, to create new narratives and ecosystems, even if some of these narratives bring them black swans. The world where we live is a complex world of systems of atoms and bytes that somehow create everyday new data projections and narratives. So how to deal with the dangers posed by this proliferation of uncertainty and volatility? to their level of emotional intelligence or lack of it. Human stubbornness and eagerness to impose and manage narratives on a world that is in a perpetual state of randomness is the theoretical approach, and somehow the DNA thinking behind Nassin Nicholas Taleb philosophic demodulation. 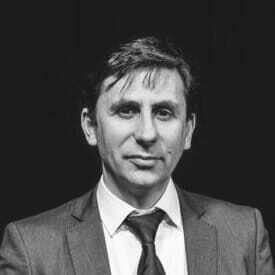 His critical achievement is that as he observes and describes the complexity of the present world he realises how it’s impossible to calculate the risks of Black Swan events or predict their fate or occurrence. “Antifragile” is a book made of books, riddled with dualities, contradictions. Mr. Taleb researches about the challenges of failed predictability, the past, present and the future. In a review published in NYT about Taleb’s work, entitled “You Are All Soft! Embrace Chaos! ‘Antifragile‘ Michito Kakutani mentions how Taleb repeatedly attacks theorists and academics as the sorts of people who would presume to “lecture birds on how to fly.” And yet he’s an academic himself (whose main subject matter, his book jacket tells us, is “decision making under opacity”), and the book he’s written is nothing if not one big, hyperextended, overarching theory about how to live in a random and uncertain world. 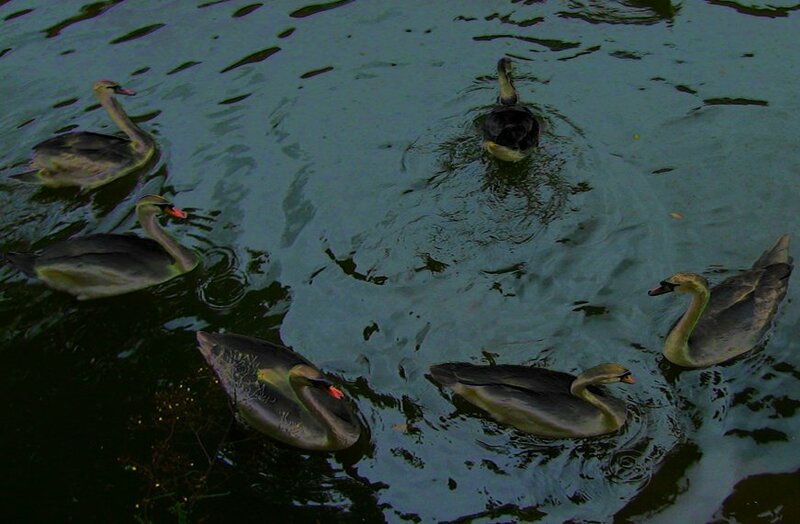 Antifragile is the logic continuation of both Fooled by Randomness and Black Swans. The book touches somehow the chaos theory, that studies the complexity of the behavior of various dynamical systems that are highly sensitive to initial conditions, an effect which is popularly referred to as the butterfly effect. Small differences in initial conditions (such as those due to rounding errors in numerical computation) yield widely diverging outcomes for such dynamical systems, rendering long-term prediction impossible in general. In the book, Taleb redefines the effects of these black randomness swans affecting the everyday life of the present civilization. Taleb affirms that these events are necessary and increasing, they are part of a result of ongoing complexity, interdependence between parts, globalization and the “beastly” effort to achieve that thing he names ‘efficiency’ that makes people in the now world ecosystem sail too close to the wildest winds. But the crucial question still remains: How to deal with the dangers posed by this present proliferation of uncertainty and volatility? Taleb is a philosopher and a fire-starter maverick contender and a thought provocative prophet and exceptional erudite, a cosmopolitan monk of the New York metaphor, of the world we live in, in its best and specially worst. He dissects the fast forward world in the web of history and literature, philosophic, financial and economic references. Taleb loves to loose himself in what we must somehow establish or learn, and he realises how to create or build our public and private lives, and therefore the need to redefine political systems, the edgy social policies, the ethics and flaws of finances. is cut off. Myths are part of the present and helps us represent and explain the complexity made of layers of randomness. In Antifragile: Things That Gain From Disorder, Nassim Taleb gives the example of Switzerland, jokingly mentioning how the average Swiss citizen can name the presidents of France and the United States before they can name their own. It turns out Switzerland perfectly captures Taleb’s idea of antifragility – the concept that certain things grow stronger with shock and turmoil, as opposed to fragile things, which just break down. Antifragile evokes the old myth of Prometheus revitalized with a philosophical concept that pushes once more the boundaries between the “Fooled by Randomness” and the “Black Swans”.